Independant-spirited Constable Hamish Macbeth - Lochdubh's one-man police force - has his hands full after a glitzy TV company arrives in search of higher ratings. Ever since a British television crew began filming a mystery series nearby Castle Drim, Hamish has watched tension building. 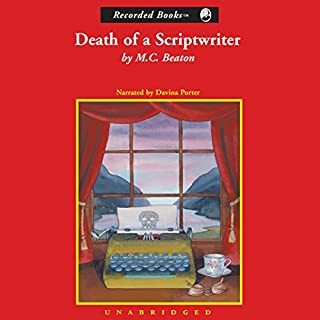 But trouble really escalates after one of the scriptwriters is found dead, and Hamish discovers a full cast of suspects lurking behind the scenes. Hamish Macbeth - Lochdubh's one-man police force - has suddenly become a prime murder suspect when a belligerent newcomer turns up dead. 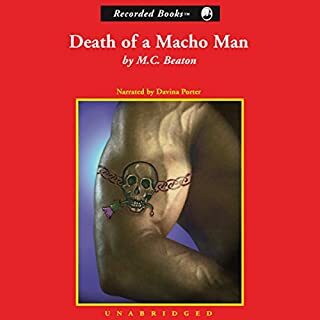 To save his career, Macbeth must delve into this Macho Man's unsavory past. 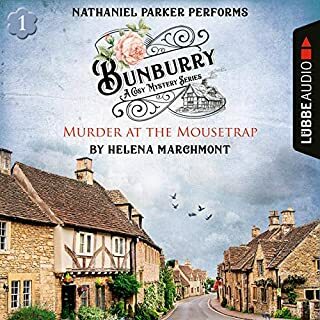 Suddenly, suspects are everywhere: a salty fisherman, a reclusive romance writer, a respectable matron, a restauranteur's wife, and even Hamish's ex-fiancee Priscilla Halburton-Smythe and her newest boyfriend. Macbeth - Lochdubh's one-man police force - is in a foul mood. He's lost his promotion and his fiancée, and, instead of solitude, his vacation at "Friendly House" yields a freshly murdered corpse and an inn full of suspects who each longed to commit the crime. Can Macbeth find the culprit, or will justice prove elusive even for the redoubtable Scot? What did you love best about Death of a Village? I love anything by M.C. Beaton. Ok - maybe not the sexiest series, but I call the Hamish Macbeth series "comfort reading". Ms. Beaton has a great sense of humor and heartwarming characters. Totally in love with Lochdubh. What about Graeme Malcolm’s performance did you like? Graeme Malcolm as Hamish Macbeth is the best! He nails it. I have been a very long Beaton fan. This one breaks a little cadence and has some more twists in it. If you like Hamish, you will love this one. 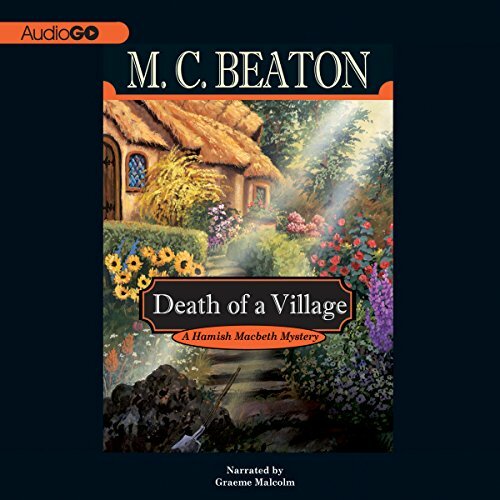 Would you consider the audio edition of Death of a Village to be better than the print version? Haven't read the print version, but good writting losses nothing when the narrator is excellent. Hamish is quirky and beight and knows what he likes, so too do I. The author understands human nature very well and has a great sense of humor. Like a lot of folks, his relationships with women friends is a bit stunted. Which character – as performed by Graeme Malcolm – was your favorite? I never listen to any book in one sitting. I use audible books to be able to read while doing other things. Never miss a Hamish McBeth mystery and hope Ms Beaton remains healthy and happy for many years. Just a really charming series (and great narrator! If you could sum up Death of a Village in three words, what would they be? What was one of the most memorable moments of Death of a Village? Don't want to be a spoiler--but there is an unexpected love relationship in the geriatric set that is delightful. Hard to say. It's less the scenes than the chemistry among the various people--one could sort of identify with their various quirks and oddities in a very human way. 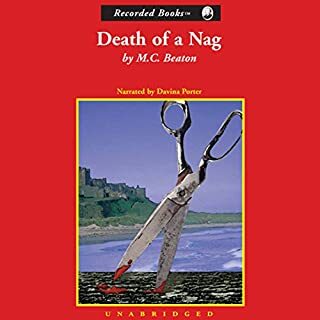 The Hamish McBeth books are all wonderful in themselves, but this narrator is the BEST. He brings an element of charm, leaving this American just in love with the sound of the Scottish brogue. Where have the good cozies gone? What would have made Death of a Village better? I love Hamish - but why is he such an $&*#@. In this one he comes across as really unfair and almost mean to Isabel. She keeps coming back for more when any gal with half a head would have nothing to do with him. This cozie has too many ridiculous angles, not enough story in the story - too much trying to create a "you'll never guess what's really happening" story. I fear the author mailed this one in. 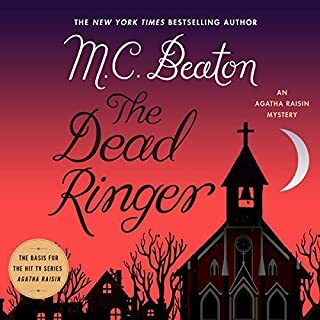 Would you ever listen to anything by M. C. Beaton again? What didn’t you like about Graeme Malcolm’s performance? I've read quite a few Hamish Macbeth mysteries and enjoy them as light refreshment between longer and weightier books. This time I didn't. The narrator, Graeme Malcolm, was new to me and Hamish came across more churlish and less charming for me with his reading. There seemed to be few lovable characters and the mysteries seemed forced. I have a pet peeve about seeing religion as the source of people's problems and, as that is an aspect of this book, that turned me off too! It may be awhile before I try another one of the series. I do miss Davina Porter for the Hamish Macbeth books. I discovered the Hamish Macbeth series years ago and was delighted when reading the books. Listening to the books is even more fun. One reason is that I can hear the correct pronounciations for some of the words that I could only guess at when seeing them on the page. Hamish Macbeth is a policeman in a small village. The village is populated with quirky, interesting characters. Hamish is just as quirky and interesting. He is also very perceptive and very clever. He regularly outsmarts the police from a nearby large city. And he regularly dodges the promotions they want to give him. He's happy in his village. All of these factors combine to make great stories with plenty of witty humor. Narrator Graeme Malcolm is excellent. His voice is pleasing. He manages to differentiate character voices in a way that is not distracting. His Scottish accent may not be accurate. , I suspect if the accent was accurate someone like me, from the Upper Midwest of the USA, might not be able to understand it! Gave the series a couple of shots, but now I’m done. The story was inane & poorly written & I’m sick of the verbal/mental abuse between MCs. Unless you just want to hear Graeme Malcolm’s voice, (which is why I tried again, love him as always) not at all credit worthy IMO. There were so many cases in this one and so many good characters. I wish Mr Jefferson would appear again in another book! The other thing I always enjoy and really I forget that she does this each time is that the once the main mystery is solved that's not it. Most authors solve the mystery and boom that's it. But Marion always has a few more things happen so it really extends your enjoyment. Mysteries Get Better and Better! Yes. 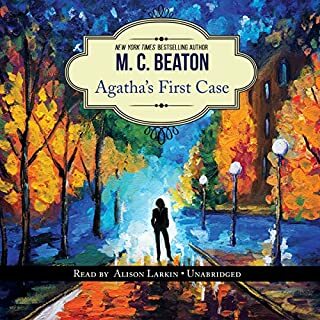 I like the intricacies of the plot and the twists and turns that Beaton provides the reader/listener. The ending was unexpected and satisfying! Favorite scene is when Hamish rescues wee Annie in the hurricane. The scene where Lugs is attacked by the German. I have become a fervent fan of the Hamish Macbeth mysteries. I have listened to/read the first 20 books in the series over the course of 5 weeks! As a writer I like pay attention to the structure of the story as well as the story and characters. I worked in the Highlands of Scotland between 1978-98 and love Beaton's descriptions of the landscape and people. The characters have truly come alive for me. Shaun Grindell is my favorite narrator for these books. His interpretation of Hamish is spot on.